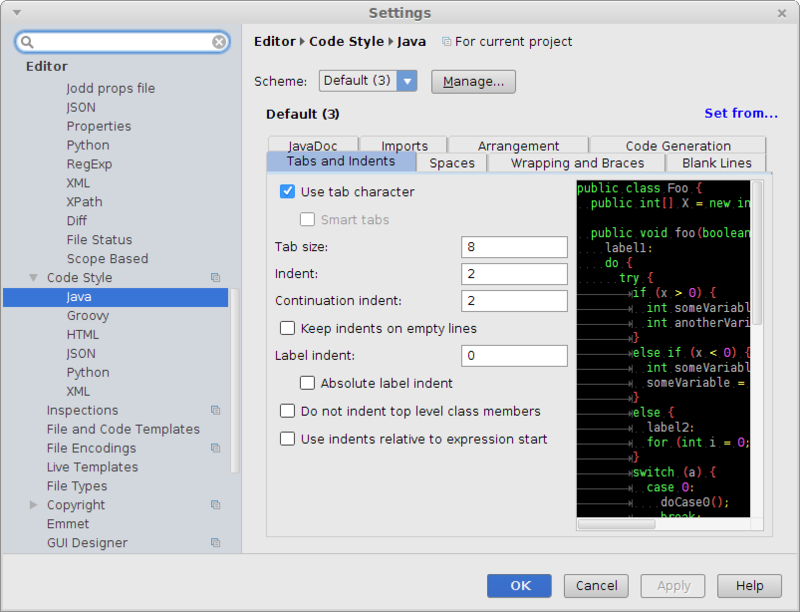 IntelliJ IDEA is a light-weight IDE for Java, developed by JetBrains. 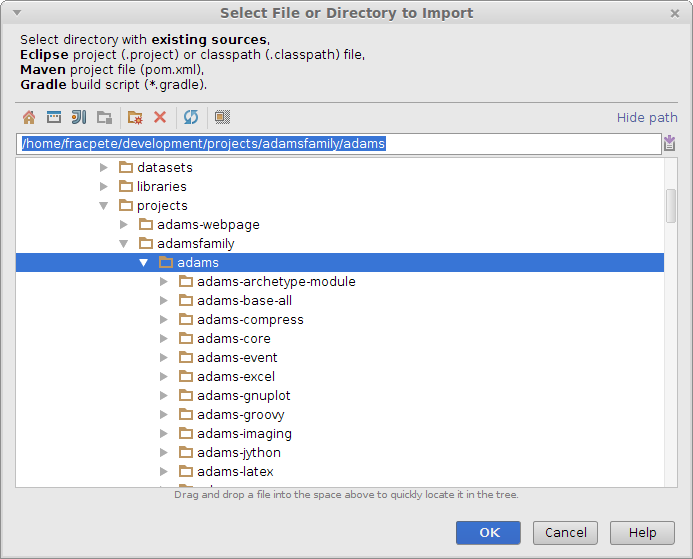 The following instructions will get you set up for developing with ADAMS. 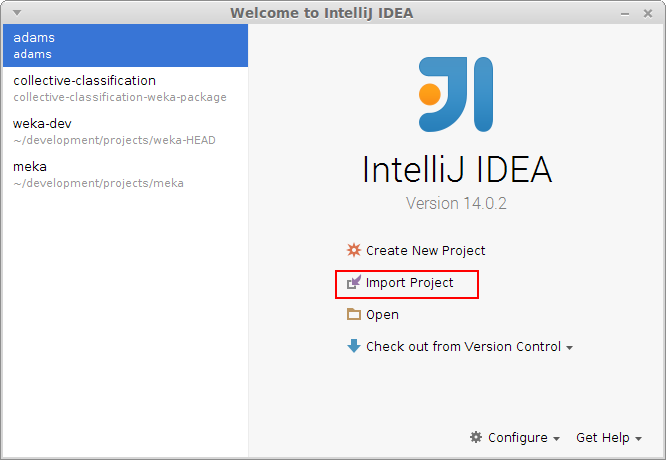 The following instructions are for IntelliJ IDEA 14.x. 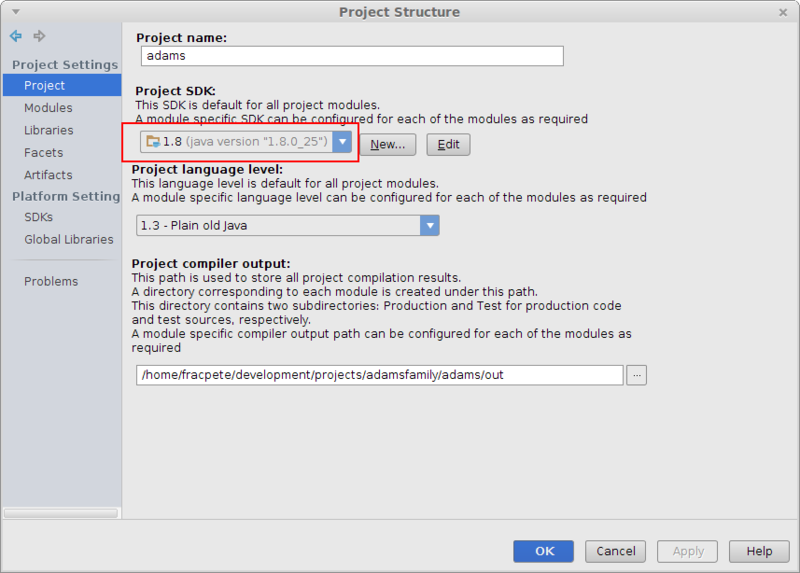 Later versions changed how multi-module Maven projects get imported: it imports them in a flat structure rather than grouped per top-level project, which means that you have to group them yourself again in the Project structure dialog. 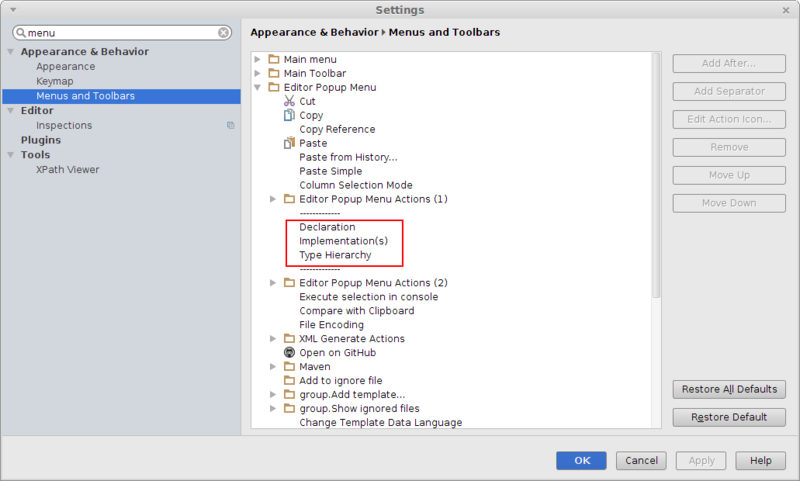 Or by selecting File -> Import project... from the main menu. If you want to add other projects, like adams-addons or adams-incubator, you must import them via File -> Project structure... from the main menu. 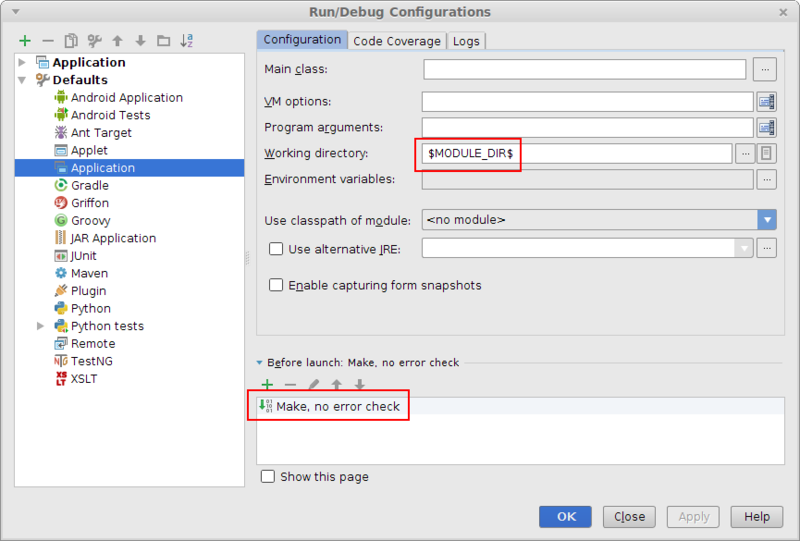 There, select Modules and when clicking on the green plus sign, select Import module. 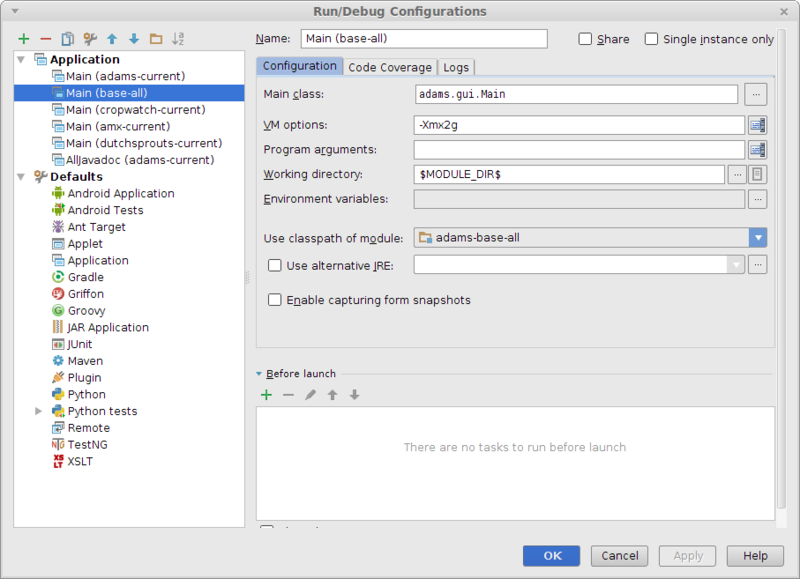 Once you've imported ADAMS, you can configure the JDK that you want to use (1.8 at the time of writing). 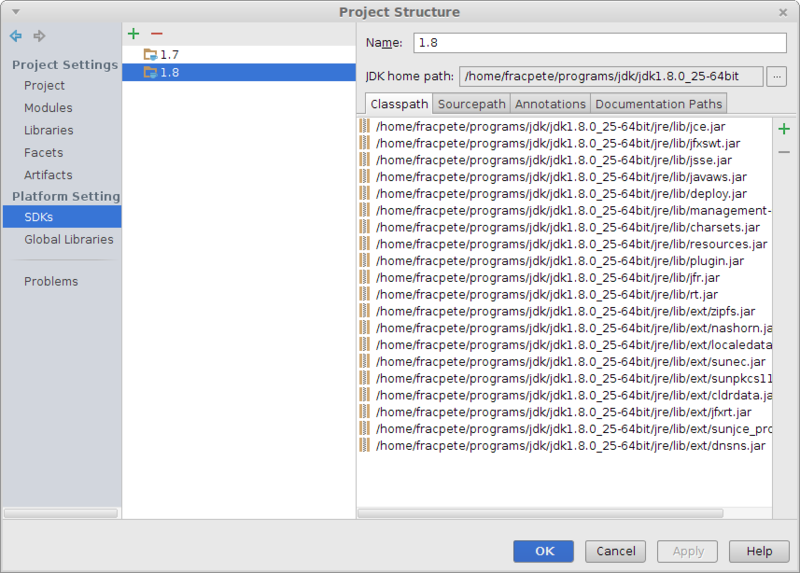 For this, open Project structure from the main menu. ADAMS uses mixed spaces/tabs for indentation, with indentation being 2 spaces and a tab representing 8 spaces. Despite having auto make enabled, it pays off to have a build action before launching applications. Hence change the Before launch action to use Make, no error check. Furthermore, you will most likely have the module's top level directory as the default working directory when starting up the application. You can set this using the $MODULE_DIR$ variable. 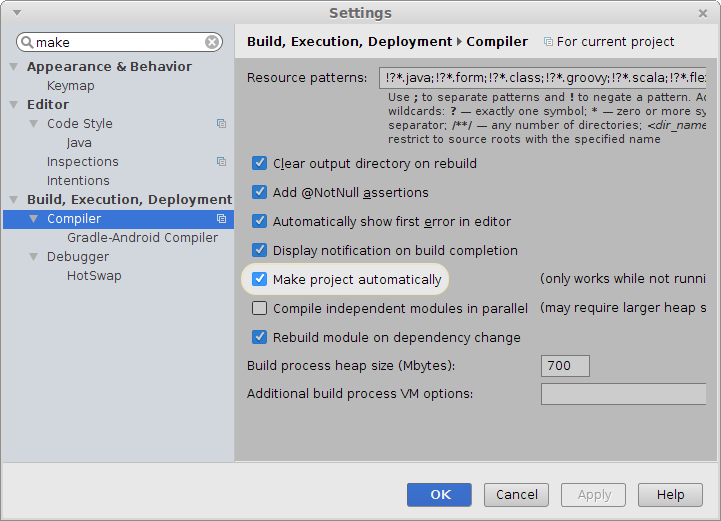 Starting with version 2016.1, IntelliJ bundles its own JRE (based on OpenJDK). However, the font rendering can some times leave much to be desired. The Oracle JDK/JRE performs better font rendering (e.g., on Linux) and you can point IntelliJ to the JDK/JRE it should use by simply setting the IDEA_JDK environment variable (source). For large projects like ADAMS you may have to increase the heapsize for the Maven Importer in your settings, as 512MB might not be enough, and despite the code compiling on the command-line, IntelliJ IDEA listing lots of failed imports from other modules. 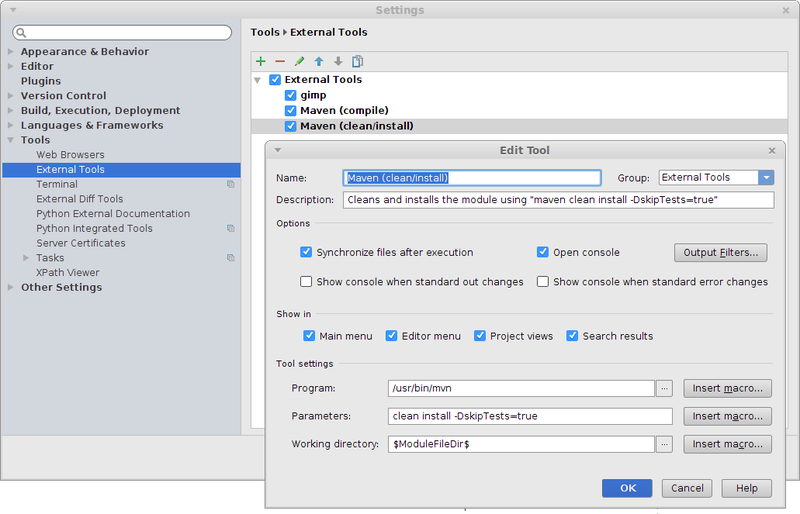 Use something like -Xmx1024m in Build Tools -> Maven -> Maven -> VM Options for importer.